What to look for on Architects’ websites. What to look for online: perfect plans or perfect Architects. How to approach an Architect. Questions to ask an Architect. Repeated contact with an Architect and its purpose. Meeting with the Architect in person. Making the choice and hiring the Architect. 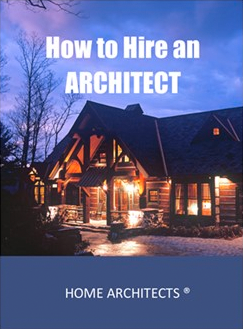 When you press the SEND button below, you will receive the free 30 page mini e-book How to Hire an Architect.